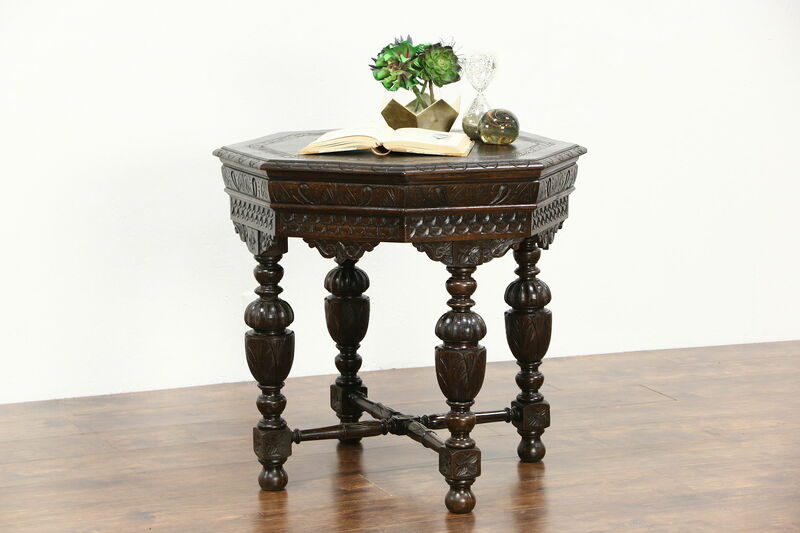 Hand carved of solid oak about 1910, an octagon shaped center or lamp table is in the English Tudor manner. The restored finish is in excellent condition on this antique furniture from England. Richly detailed, there are minor shrinkage separations from age for a little character, see photos. Size is 30" across and 29" tall.